i slightly disagree, i think there is a big need and a big market for the christmas period and i think ibiza is missing the trick on it. yes we should have a sclose down in sept mainly to give the locals/workers a break and then there should be a winter sun period that shows of the chilled out side of ibiza with more excursions to see the beauty with the odd main event for a bit a of night life. 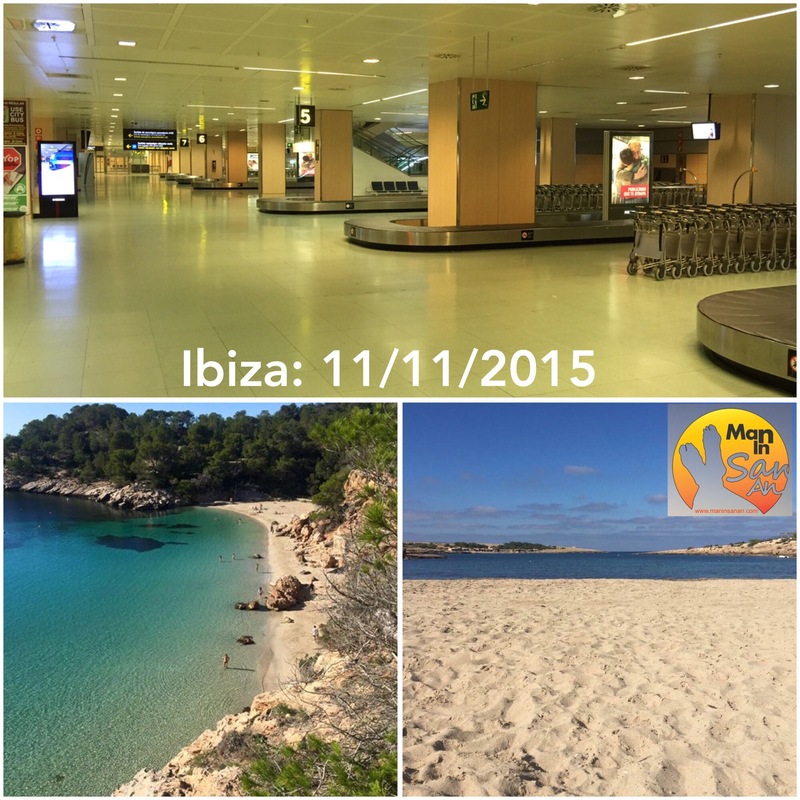 We offer weekly trips to Ibiza, ONLY during the off-season. However, it is no problem to get flights … for small groups of people, the problem is to get accommodation! We have searched a long time to get a nice, comfortable, well-located accommodation and now we have found a great place with such a great offer. Our goal, however, it is not so many tourists to get to the island, as in the months of summer. We want to show the beauty of the island! In the summer, the island is no longer beautiful. People are stressed and hectic and in the off-season it’s just quiet, calm and really nice. So if you want to spend a great week in Ibiza, if you want to drift this week and would like to take care of nearly nothing, this is the right way and the right place. Julia Daniels, did you ask me about the kind of trips we offer? Well said Martin. When the season is longer places can close one day a week, to give staff a day off. Many restaurants and bars already close one day a week and are still succcessful, but they close always the same day and their clients know. They do not close just when they cannot be bothered or have a hangover. _Some people need to be more professional, and not just work 24/7 in the summer, but to moderate working hours so staff and owners are not shattered by the middle of the summer. The people who do not want winter tourism are the ones who have another income, or year round inome, not dependent on the amount of work they do, like the polititions. The polititions are voted for and paid by the public, so should take notice of the public’s wishes. Totally agree, it’s like they throw everything it the summer then have nothing left for the winter……then after a month off they start complaining about lack of work. “A more professional approach” – SPOT ON. As a clubber, I’d love to go to Ibiza during the winter, to experience the cultured side that I tend to miss out on during my party holidays. I’d particularly like to do some of the walking excursions and see the cherry blossom trees which always make for fabulous photographs. That said, until I hang up my dancing shoes or earn a lot more money, then I will only be going to Ibiza once a year and that will be in the summer. However I feel you are right that the market for a more mature and cultured visitor is definitely for the taking during the winter. One of the biggest problems with winter tourism is: How do you encourage hotel and other accommodation owners to invest in their properties? Most of these buildings are bloody freezing in winter. They’re not heated or properly insulated. Of course, owners would put money in if there was demand. But, to get the demand means showing that good quality, warm, accommodation is available. It’s not an impossible circle to square, although it does mean somebody has to take a bit of a risk. You’d also have to change what has become the island’s regular timetable of spring reformas when the ravages of tourism and the elements are repaired. People always focus on the availability of flights, which are obviously vitally important. But, it’s relatively easy for airlines to change schedules as we discovered with Ryanair a few winters ago when all London flights just stopped. If there’s no demand they’ll just put their aircraft on a different route. Whereas if hotel owners have borrowed the money to heat and insulate their properties the banks will still demand their repayments even if there are no guests. It’s a chicken & egg situation but with the investment in Ibiza accommodation over the last few years we are more set up than ever for winters. Ryanair winter flights stopped because the island government withdrew the funding agreement, no other reason. we have been coming to Ibiza 2/3 times a year for 6yrs now and love the island we always come out of season if we can October is a firm favourite as I do oracle readings at the Ibiza spirit festival but we love April and may we have made friends with people who live on the island and each time we return it feels more like home but we would also like to experience Christmas or new year or February there but the fights just don’t accommodate it we have looked into flying to Barcelona and getting over from there and even contemplated drIving through France and Spain to get there just to be there at those times of year but as we are both still working at the momment time wise and work wise it again doesn’t work I agree with the above there is definitely a market for out of season holidays because you get a different type of person who wants a holiday then we always say to people who come to us about advice before they go to Ibiza avoid July and August because it’s full of tourists even though we ourselves are still classed as tourists when we come over it seems different somehow very early and late season !! All we know is it would be fantastic to be able to access Ibiza all year round and hopefully one day that will be a possibility . Do you see Ryanair adding an additional connection to and from the uk on top of BA through the winter? I have a place on the island but have noticed BA have considerably increased their rates for this years winters flights due to demand. Will the Ryanair base support the UK market through the winter? I think it is a good idea. Good for the prosperity of the island. As it stands at the moment summer goes with the clubbing season and I think that should still be the case through winter. I believe a few bars are open during winter anyway and some hostels are open year round. The important point you make is that the island is open in winter and people do make the effort despite transport difficulties. Bars restaurants should not require to be open till early hours. I honestly think this would be a massive winner and cement Ibiza as the greatest place on earth! Totally agree, having lived in ibiza the winter time is a very goodtime to visit this magical island. I think the fact that its so much more expensive to get here in winter is a shame for families coming to visit ,my friends will only visit me out of season when their kids can actually play on a clean beach. I think more family based middle priced packages would be great, something I didn’t see mentioned at the scarcely attended 1st meeting of businesses in tourism a while back. Also I see that the subsidies on senior citizen travel have gone so hotels in cala de bou that were expecting a winter influx are now closing for longer. Chris Dews at Casita Verde was trying to promote ‘eco tourism’ but the reality is that there aren’t enough pavements on many country roads for walkers to feel safe, the government needs to invest, walking through the campo is fine but saw lots of walkers startled on windy car filled roads this year. Also the cyclists have to contend with dangerous drivers even in winter. All in all think the local businesses need to take the reigns & create bespoke pacckages to make the most of the gap. The first place I worked in Spain was Ibiza and went there as a rep in 1971. In those days Ibiza did have a winter holiday programme. I worked in Es Cana until the end of October and returned the following February to work in the Hotel Gran Sol in San Antonio. The flights were weekly charters and the hotels were full. Excursions operated, even including night clubs. However, it was the era of the package holiday boom and they were very different times. These days many people prefer to travel independently, which means the hotels would be taking risks by not ensuring their rooms would be occupied if they opened in the winter, yet they would still have their bills to pay. The same has happened in Mallorca. The world has become much more accessible and the cost of travelling much cheaper in comparison to the 70s. In the winter months people are looking to escape cold northern climes and although the weather in Ibiza can be good in the winter it does not compare to the Canaries and places further afield. Personally, I can’t see winter tourism returning to Ibiza to the scale it was years ago. Next Next post: WINTER TOURISM: A CONSPIRACY OF COMPLACENCY?